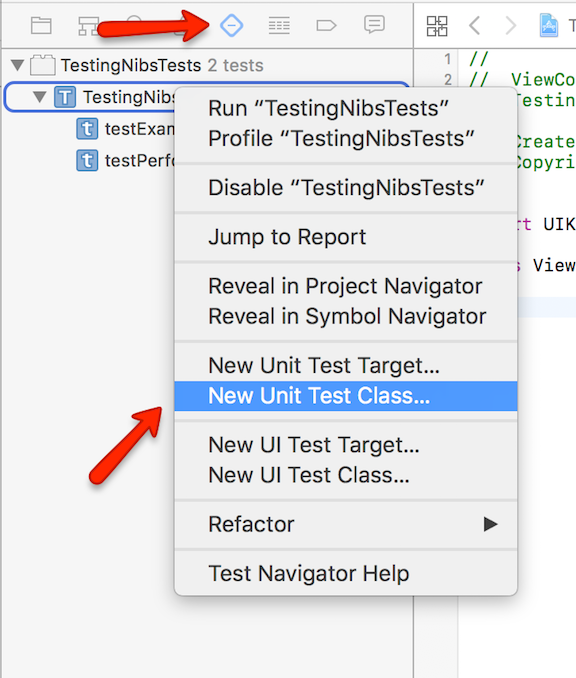 This is a short tutorial to show how to apply TDD principles to setting up nibs in your iOS projects, hopefully this will give you a better understanding of nibs and TDD practices in general. 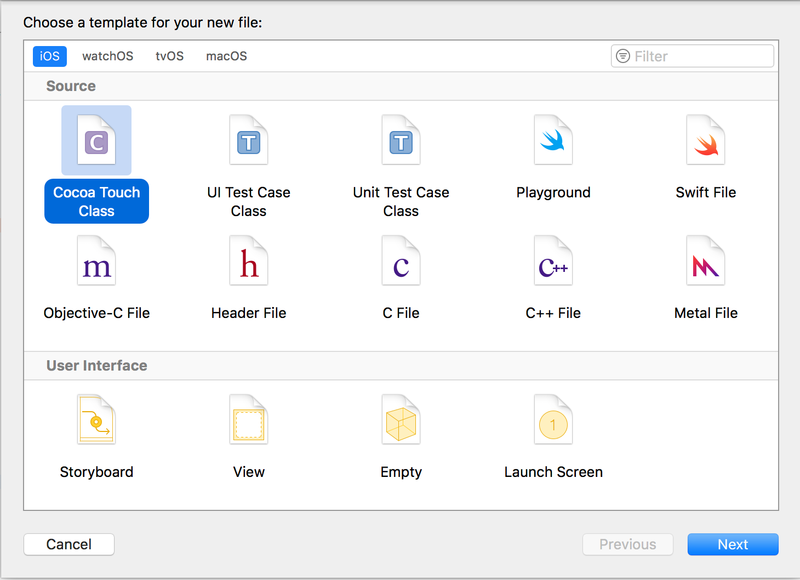 Open Xcode and make a new single-view project. Call it whatever you want but make sure unit tests are enabled. Time to write your first test! This test will not compile; that is intentional. We’re going to write the failing test that describes the behavior we want, then we’re going to write the code to get that behavior. Rinse, repeat. First we define the bundle where we’ll search for the nib, this will be the same bundle that the class is defined in. This assumes that the .xib file is located near the swift file. Then we try to load the nib and get the first view off of it. We cast it as a UIView since loading the nib this way returns an array of [Any]. According to the documentation the items in the array are: “only those objects that were instantiated when the nib file was unarchived”, don’t worry about this too much but it suggests to us that the array of [Any] that’s returned from loadNibNamed(_:owner:) is probably a stack of views. Notice that in the guard we’re using XCTFail() instead of fatalError() so that the test suite can continue to run despite failing tests. And that’s it, no setup, no teardown. Just checking that your nib exists and contains a view. This is important because later you’ll have to programmatically add the view to your nib. Time to run your first test! The first step in TDD is to be able to run your test. Hit Command-U to run your test. Your test will not build. To fix this we simply have to add the class. 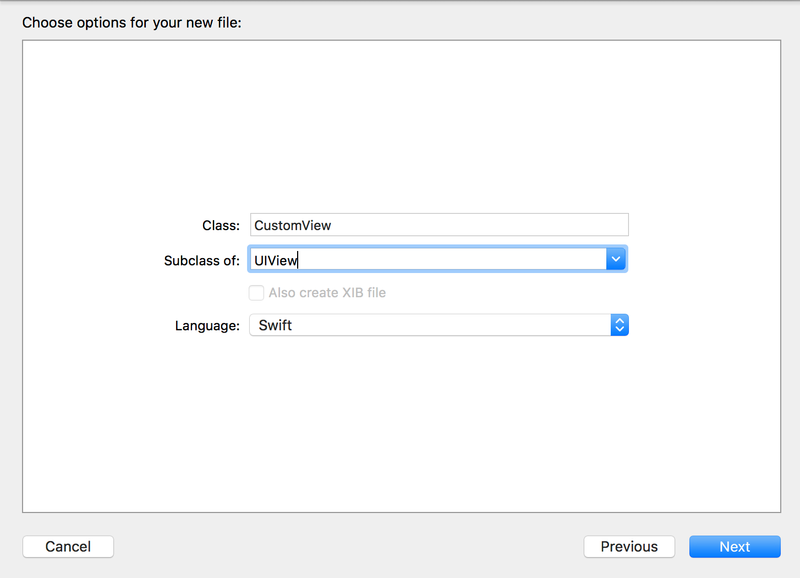 Name it CustomView and make it a subclass of UIView. And watch them fail. This is excellent. They compiled and now you know from the runtime error that your bundle is missing the NIB file. Time to write another test! 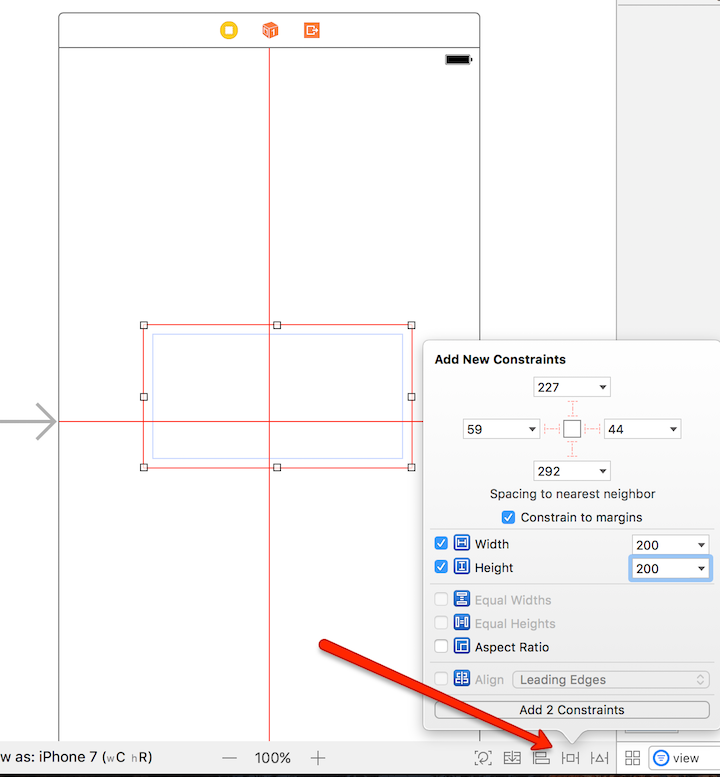 This time we create a CustomView with a frame, similar to if we were going to use it outside of a storyboard. We check to see if it has subviews which indicates that it loaded its content from a nib file. Booom~ the bad kind. The error message is your own! It describes the reason the test failed, but also the behavior that you’d like to exist. Errors like this are great. Clearly your custom view should ‘add subviews from the nib when instantiated in code,’ but currently it does not. So here is some meat and potatoes for you. The magic happens in our loadNib() function. You probably recognize this code from our first test. It is the same thing but a little different. 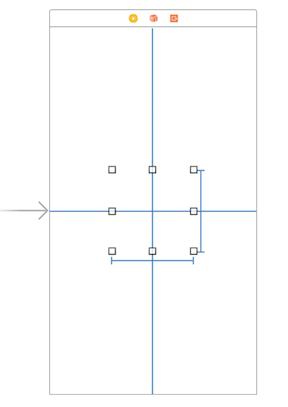 It gets the top-level UIView from our nib just like before only this time it sets a frame (the bounds of the view this nib is being loaded into) and adds the view as a subview of itself. 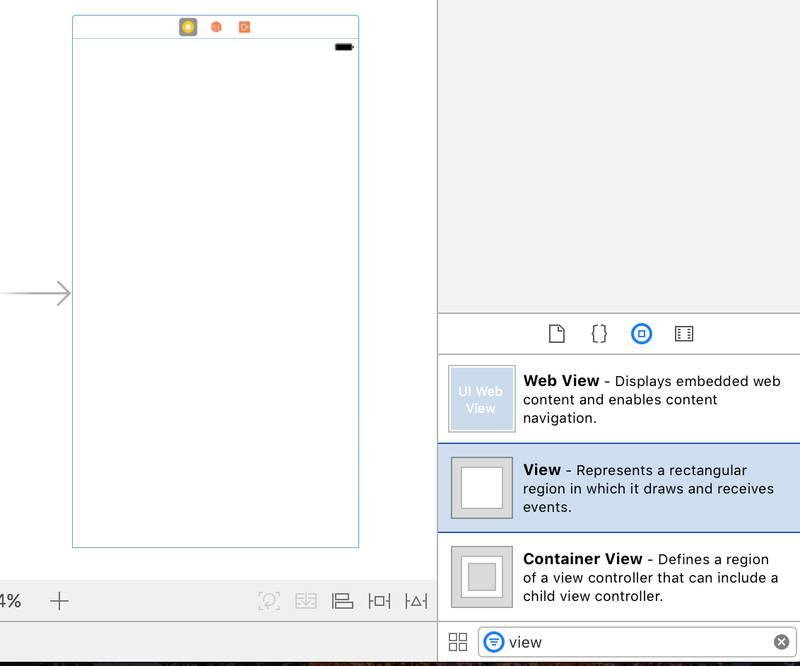 You can think your CustomView as an empty container that gets its contents from the nib file. Keep this in the back of your mind. Your nib will now work from code. In CustomView.xib go to the attributes inspector and select background color. IMPORTANT! You need to set a background color in a very specific way in order for the rest of this tutorial to work. 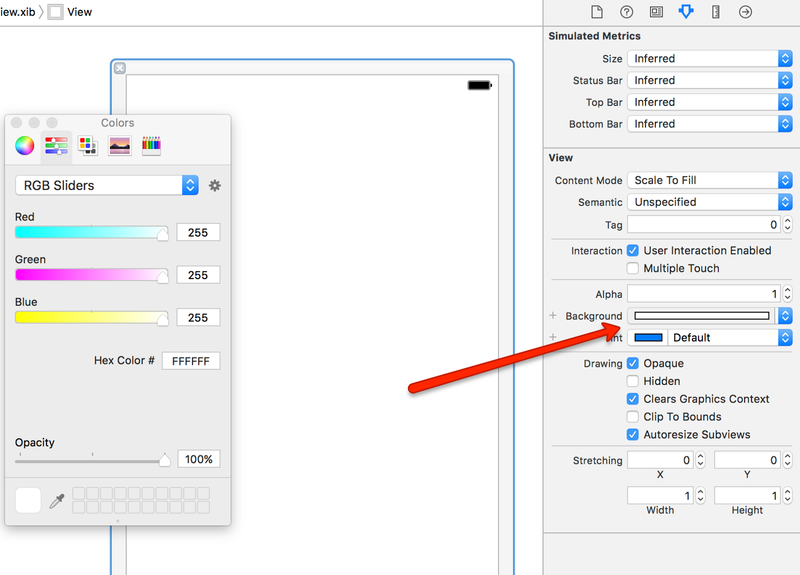 This has to do with differences between UIColor and the colors Xcode infers from the storyboard. You can google the difference between UIColor and storyboard color if you want to read up on it. Select red by dragging the sliders for green and blue to zero then click the gear and change the color profile to sRGB. 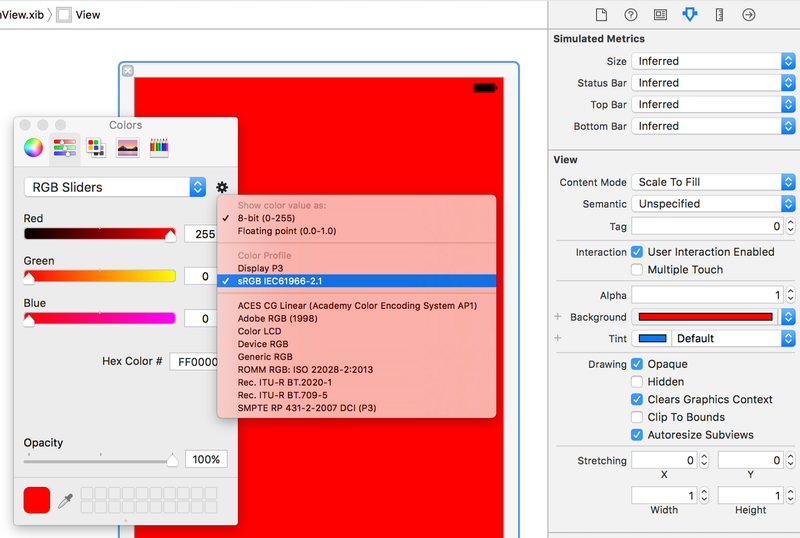 This will allow you to compare a UIColor to a storyboard generated color later on. Now, in the viewDidLoad() method of ViewController add the following lines. Delete the code from viewDidLoad() ! You can keep the changes to the nib for now. If you’re familiar with tdd you’re probably having an aneurysm right now, your internal TDD warning alarm is at an eleven. We’re changing our app without adding a test first. Ignore the alarm. I have a reason for doing this. I’ll explain later. Hopefully you’ll forgive me. 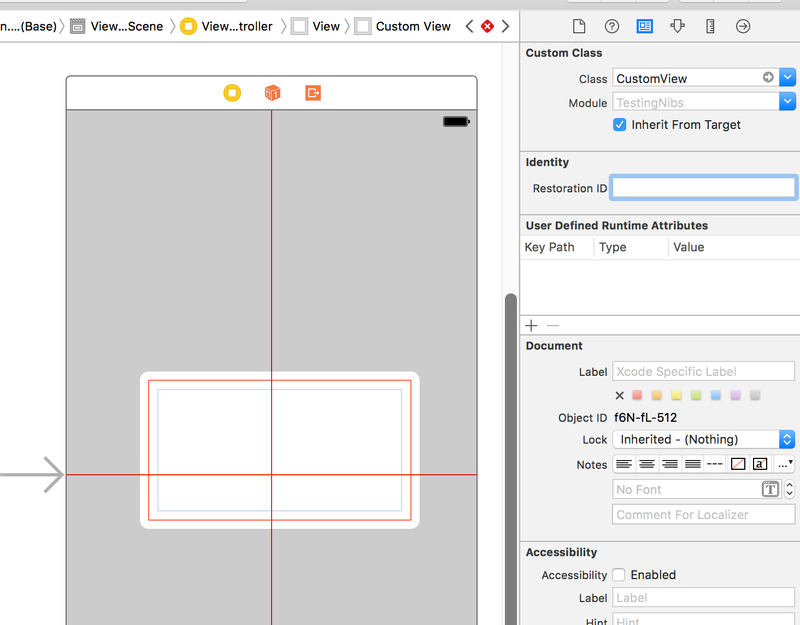 We want to use our new CustomView in a UIViewController and luckily we have one. I like making them this way, it’s a personal preference thing. Call your new class ViewControllerTests delete the boilerplate and import your project. You must have this line at the beginning of ViewControllerTests.swift or your tests won’t work. 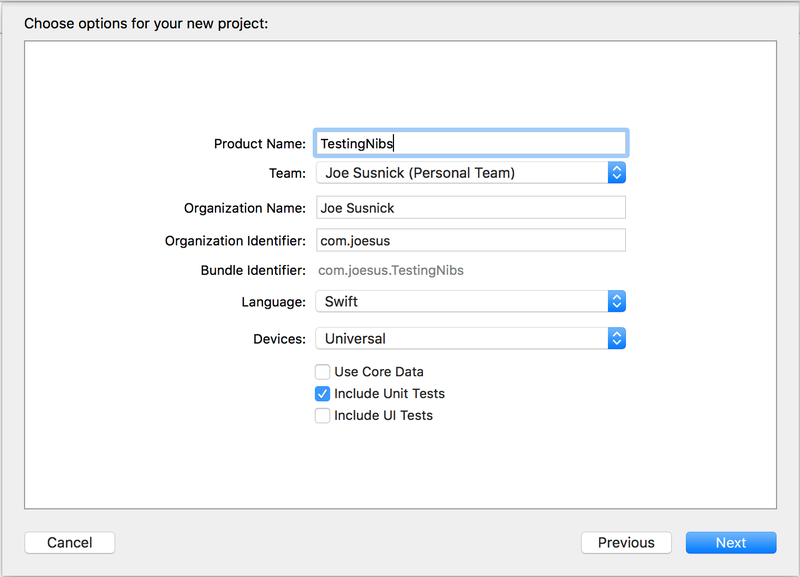 Still in ViewControllerTests.swift, below the class definition, write your first test. First step, make sure we can get the vc from the storyboard. watch it pass, ignore the compiler warning about the unused variable, you’ll use it soon. Notice we added vc.loadViewIfNeeded() this triggers the lifecycle methods your class needs to load views from the storyboard. Then we added a guard clause to make sure we have an outlet set, and an assertion about the size of the frame we want the view to appear in. The size of the frame doesn’t matter, the point is that you can test almost everything you do in code or on a storyboard. The first thing to do is get this to compile. @IBOutlet weak var customView: CustomView! Run your tests again — wait, what?!?! Tangent Time. This is a best practices thing. Make the smallest change you can to get over the hurdle that’s blocking you. I’d elaborate but Sandi Metz has a much better explanation in her book 99 Bottles of OOP, she referes to this type of intentionally kludgy problem solving as “Shameless Green”. I linked the sample but if you’re interested in TDD buy her book. It’s really good. and watch it fail again, of course. Next, hook up the outlet from Main.storyboard. Finally you can hook up the outlet your defined in ViewController.swift. 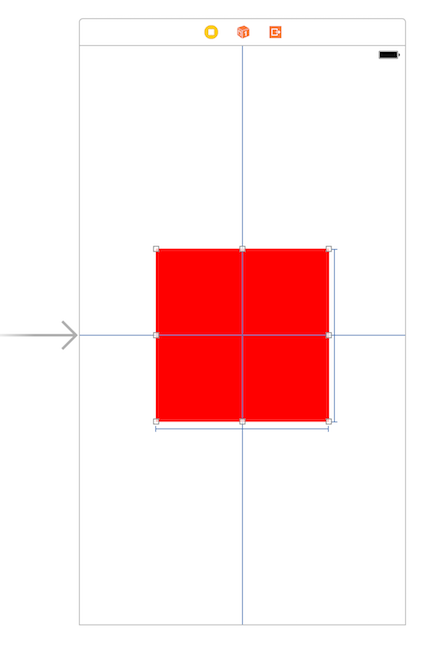 You could have set height and width constraints when you set the vertical and horizontal constraints but instead you made the smallest possible change to get over the error you were seeing. This seems like a waste of time and for something like this it probably is, but the practice is important. You reap the benefits of TDD on more complex problems in more complex code bases. Establishing good habits is important. Time for another sanity check! Run the app again and you’ll see that your custom view isn’t showing up! What gives? In our view debugger we can see that our view is on the screen but it’s not being populated with it’s color. Let’s jump back to the TestingNibsTests class and add a test describing what we want to happen. You should recognize the first couple lines. 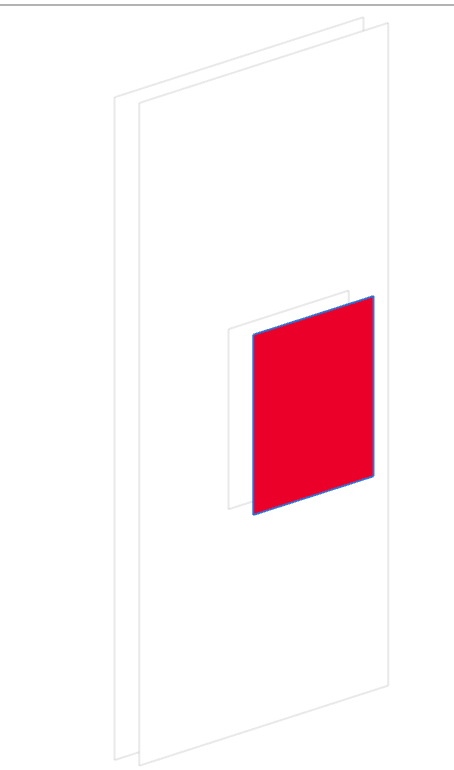 After that you’re saying, I want to load the view from the storyboard, I want it to have a reference to the customView, I want the customView to have a background color and I want that color to be red. So we know from our previous tests that ViewController has a property customView that’s a CustomView, but it seems that the properties of customView aren’t being loaded from the nib. We get the same error! What the hell!?!? 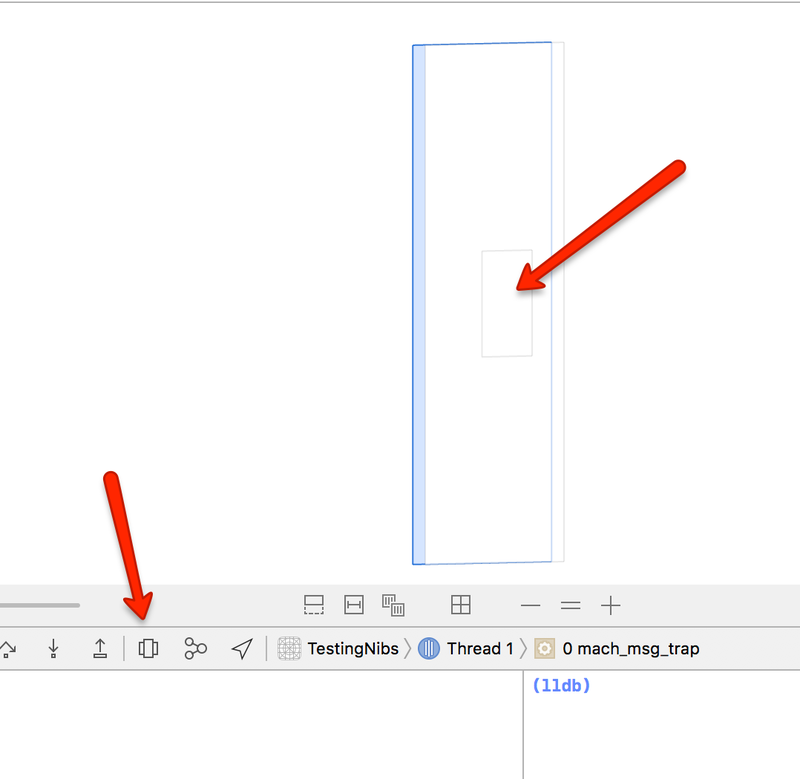 This time we know it should be loading from the storyboard so we add a breakpoint to the line with the assertion and check the view debugger. It seems the view we’re looking for is loaded, but it’s a subview of the customView. This makes sense when you think that we’re loading the nib into our CustomView class as a subview in our loadNib() method. Again, aCustomView is just a bucket to load some other views in. We can adjust the test accordingly. Make sure you have your colors set up correctly, if you really can’t get the colors to match, don’t waste your whole life messing with color palettes, just add this line to loadNib(). This works because properties set in code override properties set on the storyboard. 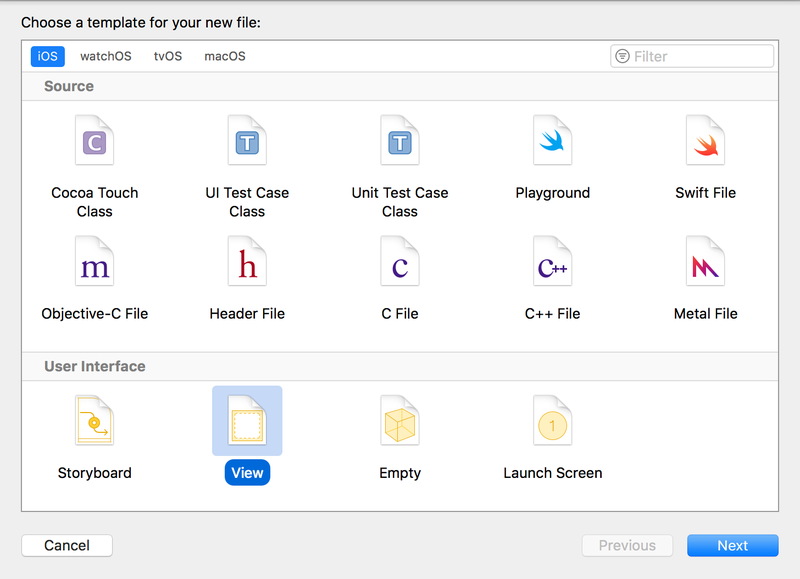 We need to write a test to make sure that CustomView will be populated when called from Interface Builder. We instantiate a CustomView(). Note: when you pass it no options it’s smart enough to call initCoder which sets it’s subviews through the already tested loadNib() method. It fails with our custom error message telling us that no subviews were added. Congratulations! You have a very tested nib! The first issue goes back to earlier. I asked you to set a color on the nib without writing tests first. I did this because I wanted you to be able to see (in the view debugger, in color) how the subview was being added. 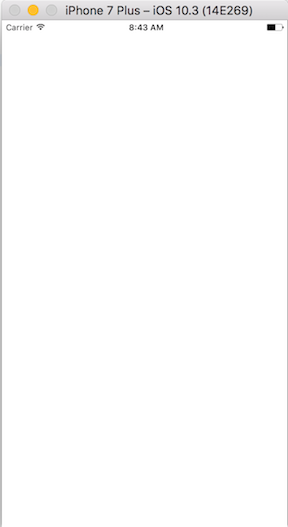 I hoped that it would be easier to learn the stuff about adding subviews if I wasn’t using a stack of white on white views. In a real-life situation I’d have a test for the color before I set a color. The second issue is that we didn’t test that @IBDesignable will triggering prepare for interface builder. Apparently there is no way to test this. I’d like to test it but it is impossible. NSHipster has a great article where they show how to setup a breakpoint to run code to help you debug a view from interface builder but that’s sort of out of scope here and even with that trick you cannot, as far as I know, build the storyboard in a way that will trigger prepareForInterfaceBuilder(). I know that was a lot of stuff. I hope you got something out of it. Also, this is my first attempt at a post so please be nice but rigorous in your feedback. I’d love to know what you think of it and if I should bother writing more of these. Thanks in advance!